Let's torture myself a bit and talk about all of the sinfully yummy stuff I had at Alamo Drafthouse recently, while trying my hardest to eat all of the well-behaved, healthy stuff during my Veg Whole 30, now shall we? 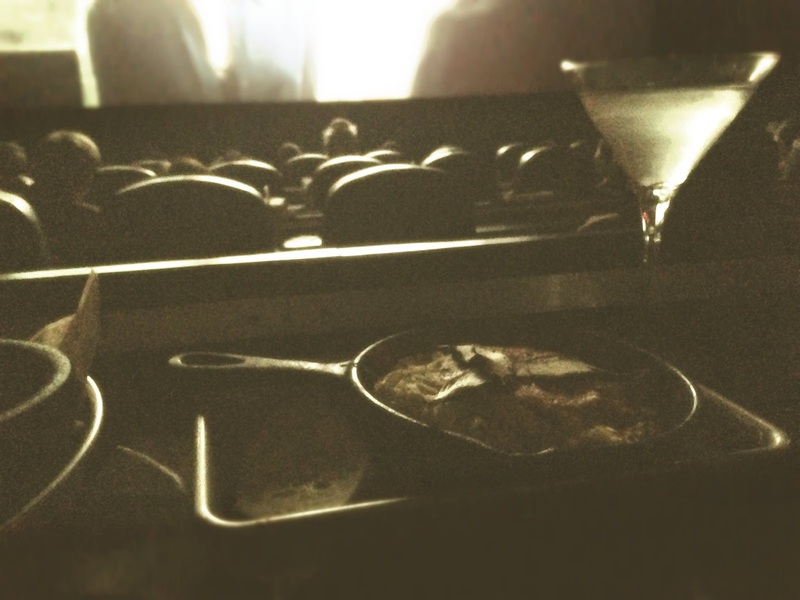 On Monday night, my mother and I dined off of the Alamo Drafthouse HRW menu, while attending a showing of the latest Mission: Impossible at their Vintage Park location. Sidenote, Jon was originally supposed to join me, but he had to stay late at work that day, which is why I had previously gotten tickets for Mission: Impossible. If I had known my mother would be joining me, I probably would have chosen something... different. Something more my speed. Though confession #1, even though I think Tom Cruise is certifiable, he makes entertaining movies. And confession #2, I really really really enjoyed this movie. I never knew Vintage Park existed, and it's super cute. 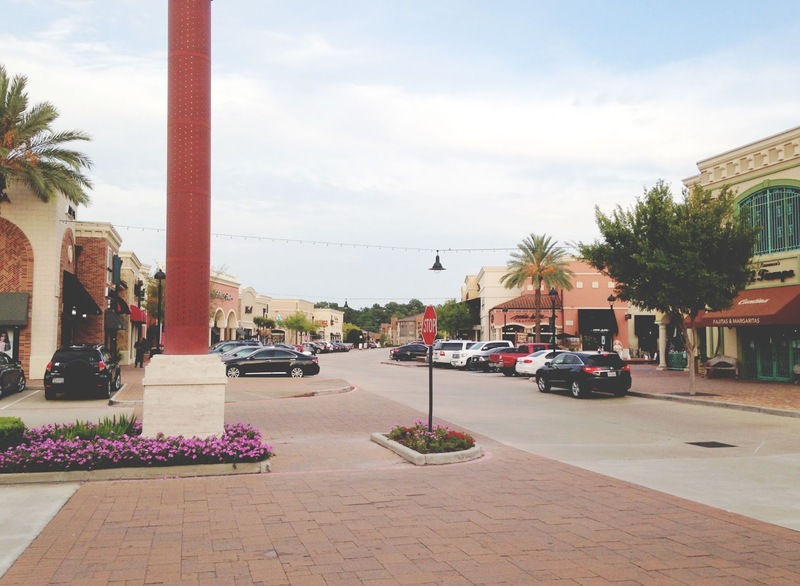 It reminds me of a bigger, more approachable Uptown Park. 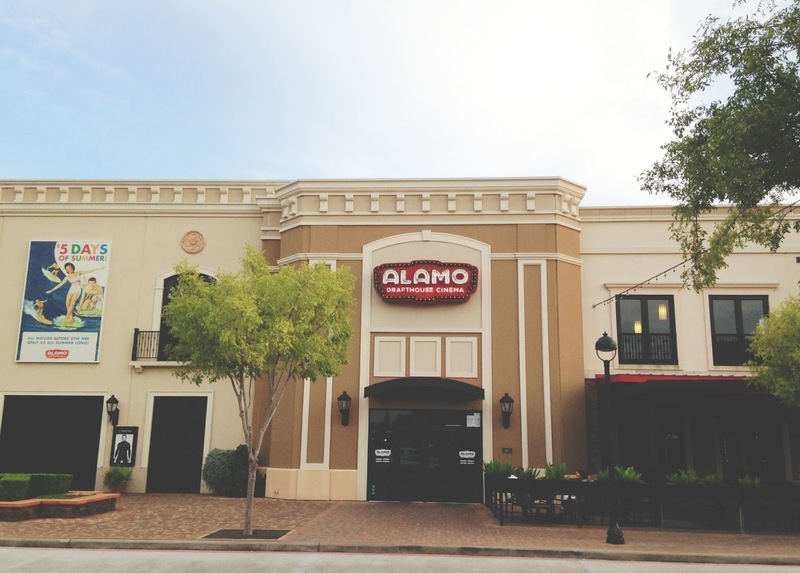 Alamo Drafthouse is nestled smack dab in the middle of this charming little center! And even if you don't live close to one of the Alamo Drafthouse locations in town (I don't), I strongly urge you to make the drive and check one out, especially before Restaurant Weeks ends! Because it's a total steal: For $35 you get a 3-course meal, a movie screening, and a ticket to a future movie. AND $5 of your meal goes to the Houston Food Bank! 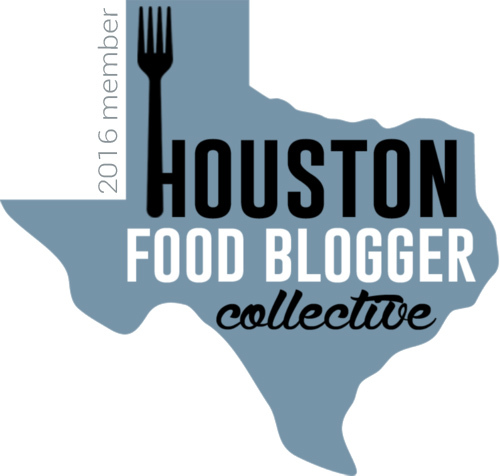 No lie, this is probably the best deal going on during Houston Restaurant Weeks. Okay confession #3, I'm a total rebel and took pictures during a movie showing, step OFF me. And confession #4, I'm not that big of a rebel because in consideration of the people in the packed house around me I kept my flash off, which left me with TERRIBLE photos. So I'm slapping an old-timey filter on these and calling it a day! First off, my mom ordered the bottomless popcorn as her starter. We couldn't even finish the GIANT bowl, so "bottomless" was not necessary. That said, it was great. This freshly-made popcorn with "real melted butter" was good, standard movie theater popcorn on its own. But smattered with its accompanied side of herb parmesan? Wowzers. It was fragrant, almost peppery, and gave the popcorn an extra, welcoming oomph! I started off with the charred corn salsa, and this was my least favorite course. The salsa was a little bland, and texturally it seemed like more of a side dish - It did not have enough of a liquid-y, acidic tomato base, so I was essentially dipping tortilla chips into corn and black beans. 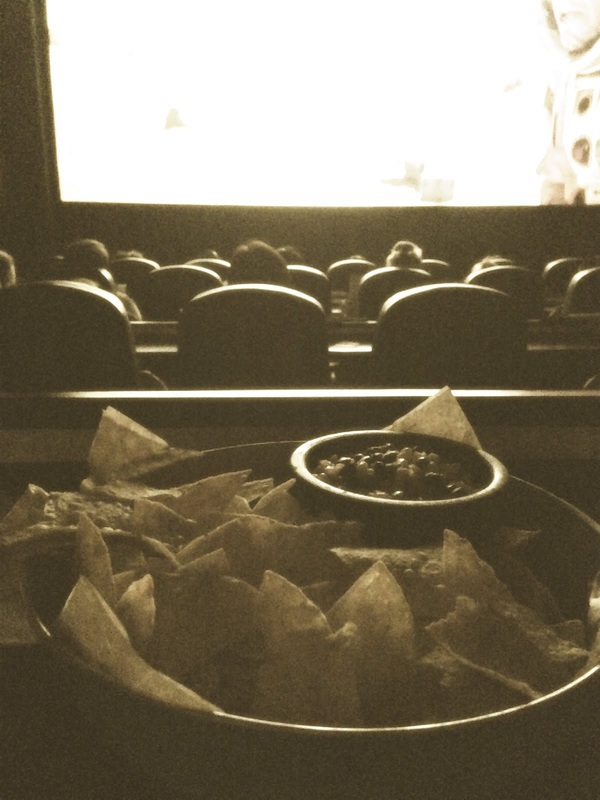 It wasn't bad, and it certainly was better than your usual movie theater fare, but I was hoping for something more (especially after having tried the tasty popcorn!). For my main course I ordered the spaghetti squash pomodoro. 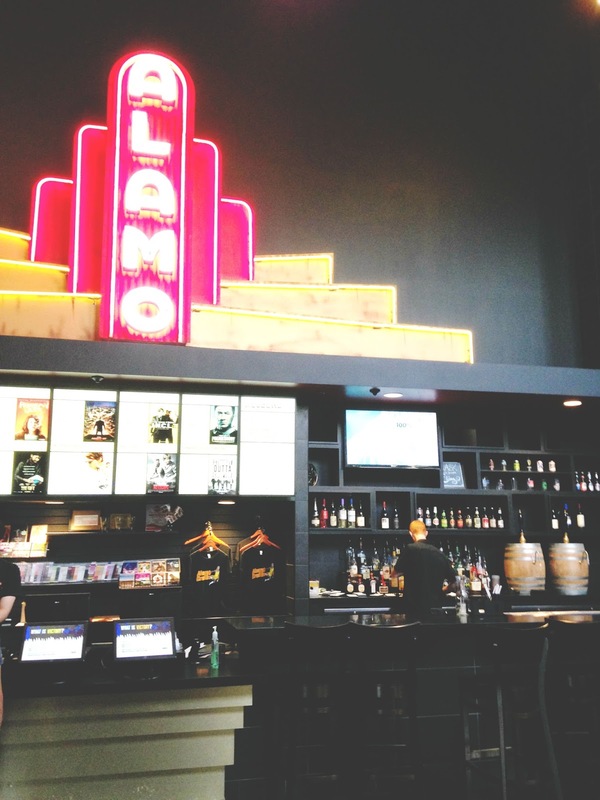 Here's where I really have to hand it to Alamo Drafthouse. As a vegetarian, it's more difficult than I would expect to find HRW menus that have veg-friendly options. And when I do find those menus, the entree is more often than not a default, uninspired pasta. Well, Alamo Drafthouse's vegetarian entree is one of the more creative ones I've seen - spaghetti squash topped with a pomodoro sauce, portobello mushrooms, and scallions. No, they weren't reinventing the wheel here, but they very easily could have boiled regular old spaghetti in a pot and called it a day. Especially given that this is a movie theater we're talking about here. And in terms of quality, the entree itself wasn't too shabby. I loved how the "noodles" were crisped around the edges, and the light sauce was given a playful boost from the added mushrooms and scallions. It could have perhaps used a few added herbs, but overall I was pleased with it! 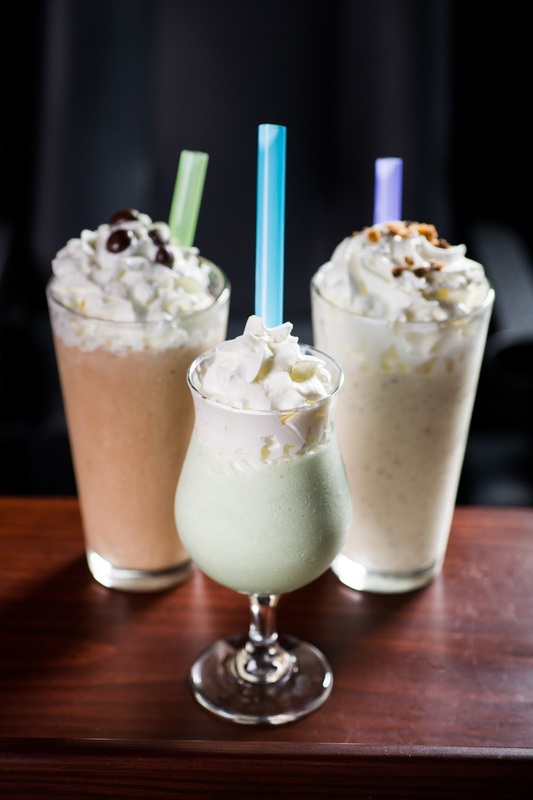 Okay, so my dessert picture just looked like ink blots wrapped in a sneeze, so the kind people at Alamo Drafthouse sent me a picture of their boozy desserts. My "Adult Shake of Choice" was an Irish coffee shake, and I could not. put it. down. Creamy, and rich, and sweet, and nutty, I fell in total love with this shake! And hello, alcohol in a dessert? As in, I also got an alcoholic drink included in my HRW order? Sign me up! 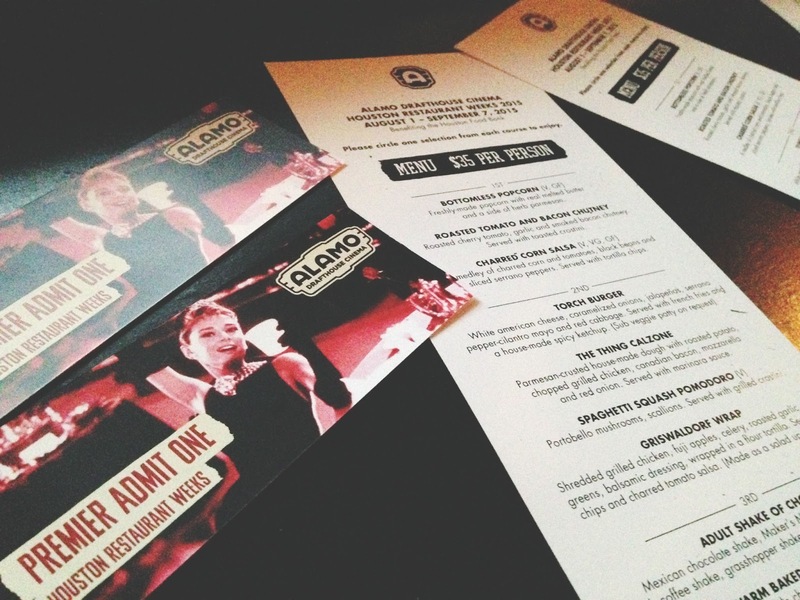 You really can't go wrong with the Houston Restaurant Weeks menu at Alamo Drafthouse. 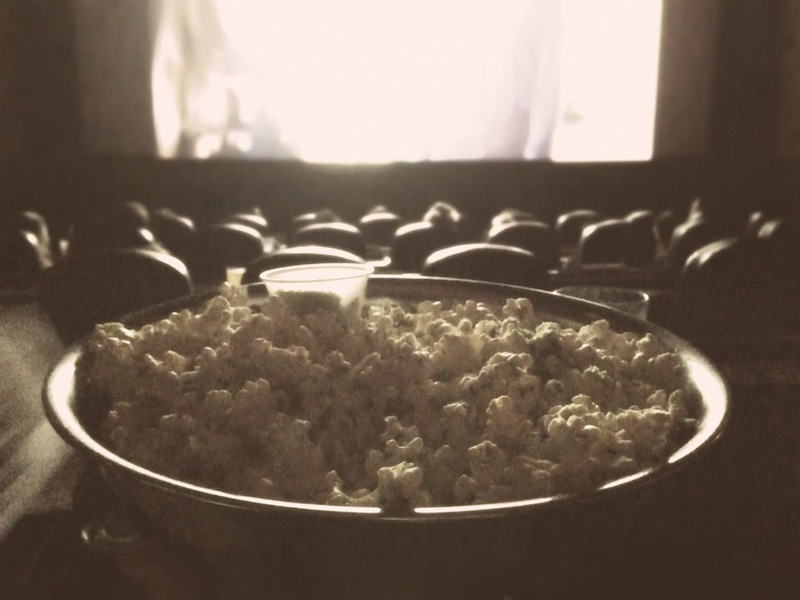 The value of what you're getting is incredible, and the food is a definite step up from the usual fake-butter, fake-cheese infested items served at regular movie theaters. I can confidently say that my experience there was awesome! This post was done in partnership with Alamo Drafthouse, but all opinions are completely 100% my own!